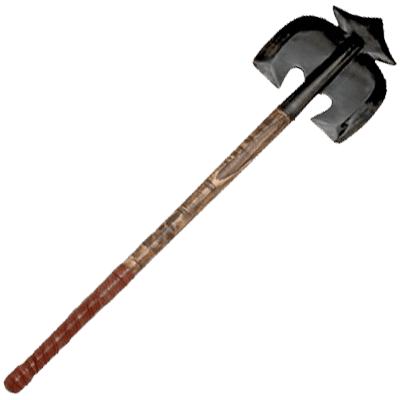 The Conan the Barbarian Simple Axe of Rexor by Marto is the axe once wielded by Rexor in the Conan the Barbarian movie, reproduced so that the teeming masses can enjoy this wicked axe at its proper, full size. Consisting of a simple wooden haft with a blade fastened at the top, this axe possesses the same double-head that made the original axe so powerful - a roughly arrow-like shape with rounded edges and a wicked, diamond-like point at the tip. By appearances alone, this is typically a weapon first and a decoration second, although as a replica, now it serves more adequately as an item of decor. 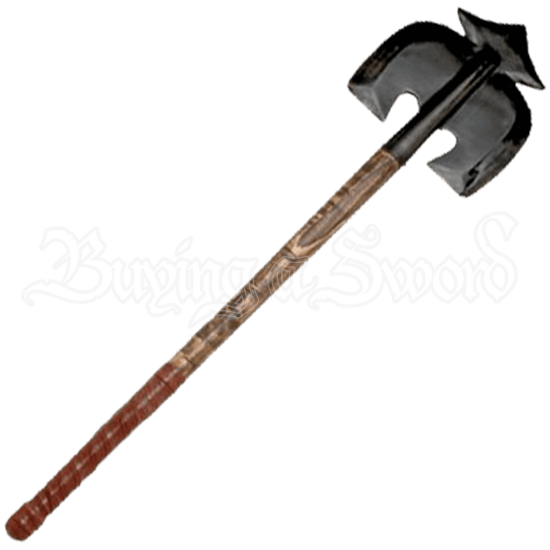 Regardless of its original purpose, the Conan the Barbarian Simple Axe of Rexor by Marto is a fantastic reproduction item that is both well-crafted and well-designed it is almost a certain treasure for fans of interesting weapons and of Conan alike.